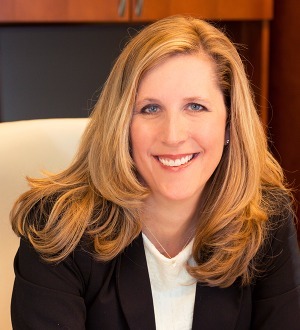 Jennifer Anderson's practice is focused on products liability, employment, class actions, mass torts, insurance, healthcare and commercial litigation. She regularly advises businesses and individuals on issues related to employment disputes, contracts, negotiations, medical malpractice, product safety, professional liability, and fair debt collection practices. She has appeared in state and federal courts, and regularly participates in arbitrations and facilitations. Jennifer provides counsel and litigation support for clients including pharmaceutical companies, medical suppliers, medical service providers, national retail corporations, school districts, and insurance companies. In addition, she served as trial counsel in pro bono cases, including an intellectual property case for a large, non-profit medical services provider and small family related issues. Chambers USA reports that clients and peers characterize Jennifer as an attorney who is "at the top of her game, working at a high level of efficiency and effectiveness." She is named one of the Top 250 Women in Litigation and a Litigation Star by Benchmark Litigation. Additionally, she has an AV® rating from Martindale-Hubbell and is among those in listed in Best Lawyers in America® and Southwest Super Lawyers®. She was named "Best of the Bar in Litigation" by New Mexico Business Weekly. Jennifer serves on the firm's Executive Committee, Recruiting Committee, and Co-Chair of the Employment group. She previously served as Department Chair of the firm's Litigation practice.